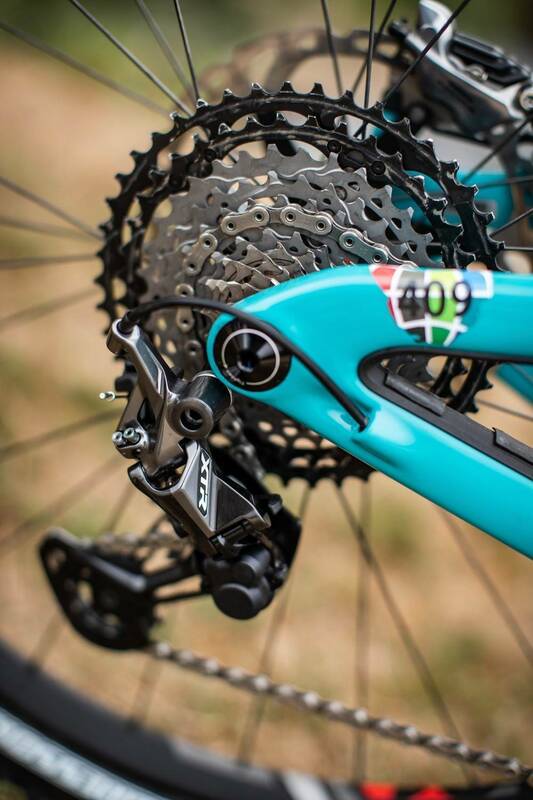 Yeti are a Shimano backed team, and Nason is riding a 30T chainring. 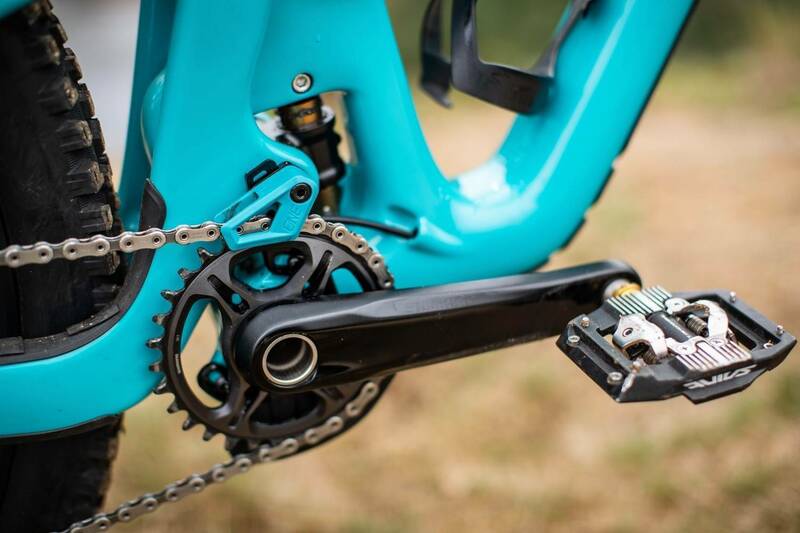 Shimano XTR has gone 12-speed, but... they also originally made an 11-speed option for enduro racing. 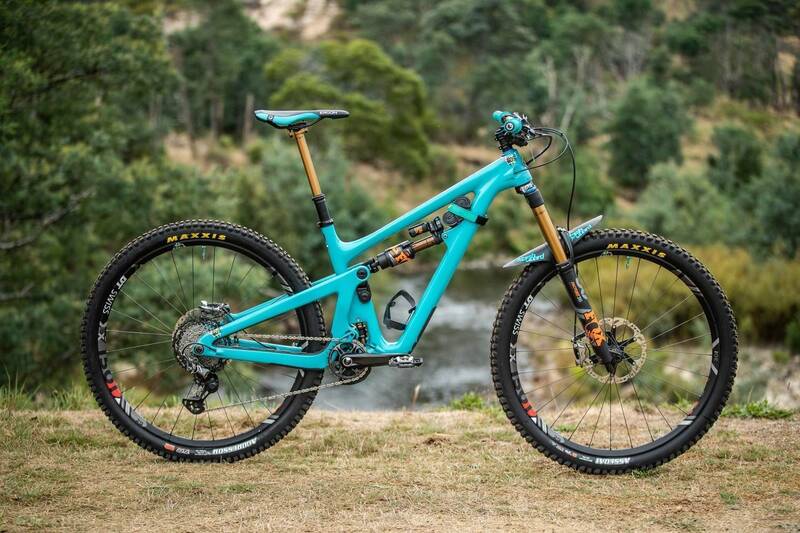 While they didn't end up producing it to sell, some teams like Yeti are racing on it. 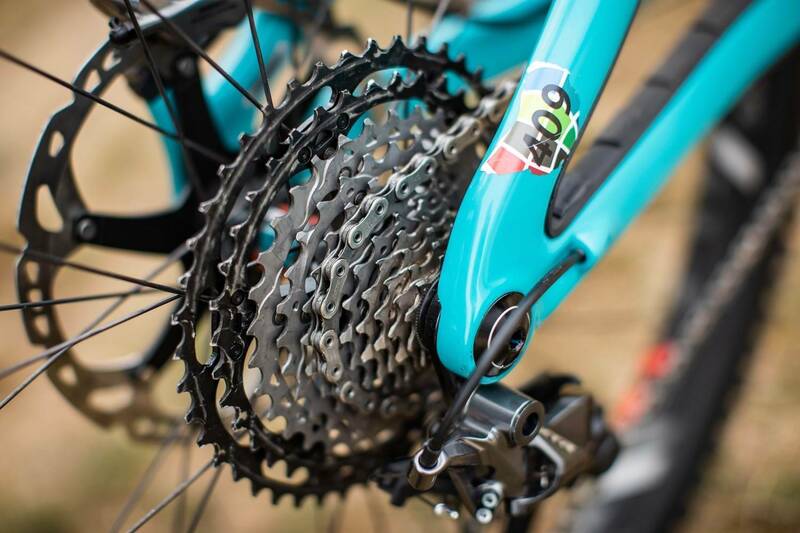 The 10-45 range is still there on the 11-speed XTR M9100. 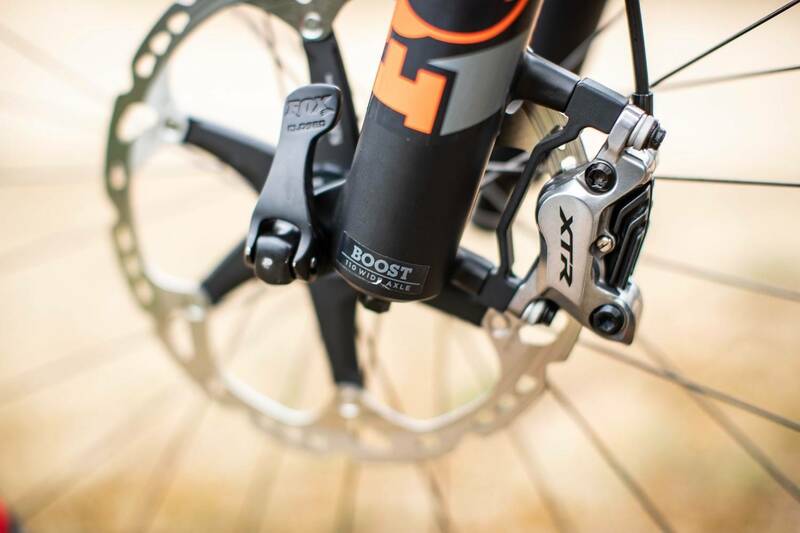 Bit 203mm rotors on the new Shimano XTR M9100 4-pot brakes. 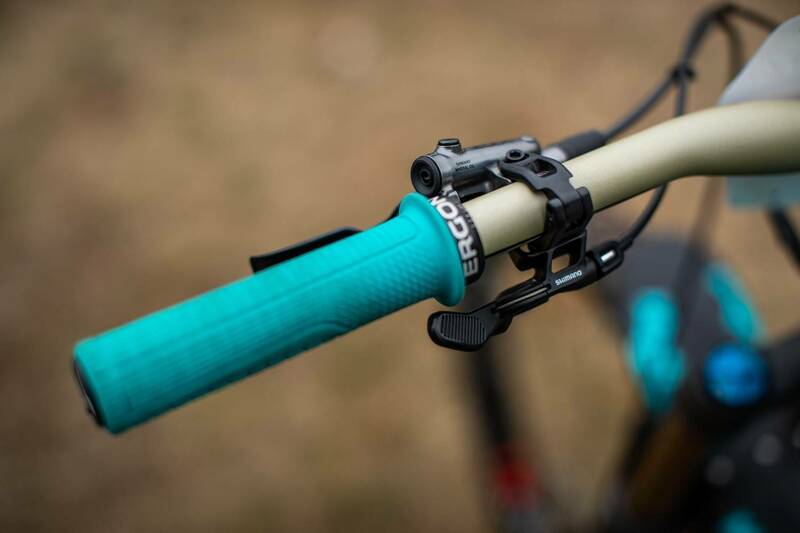 Ergon lock on GD1 grips in Yeti Turquoise, and the team is running the Shimano dropper lever. 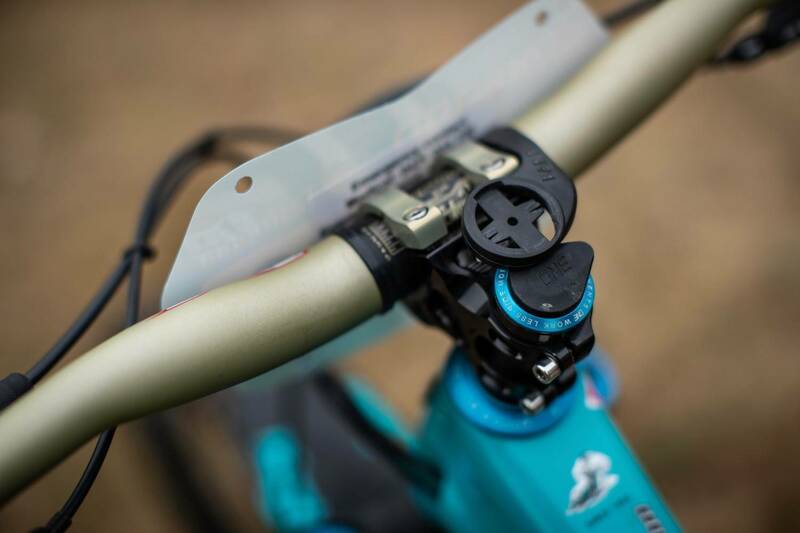 Nothing to see here... except a OneUp tool, 35mm clamp Renthal stem and bars, and a custom top cap in the DropIn King headset so it fits a Yeti frame neatly. The GPS mount is a stubby model from BarFly. 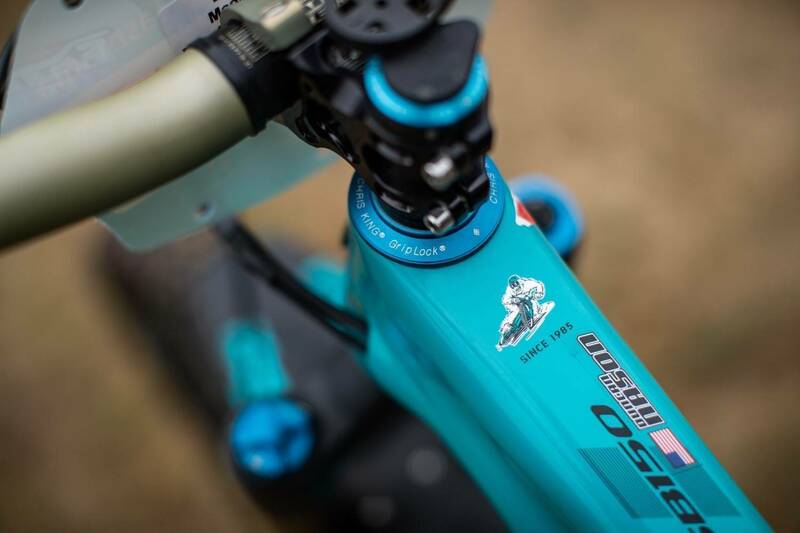 The Fox Float X2 has won many a bike race - and of course it's custom tuned for the SB150. To infinity and beyond! The sidemount cage makes it easier to get a bottle out too. 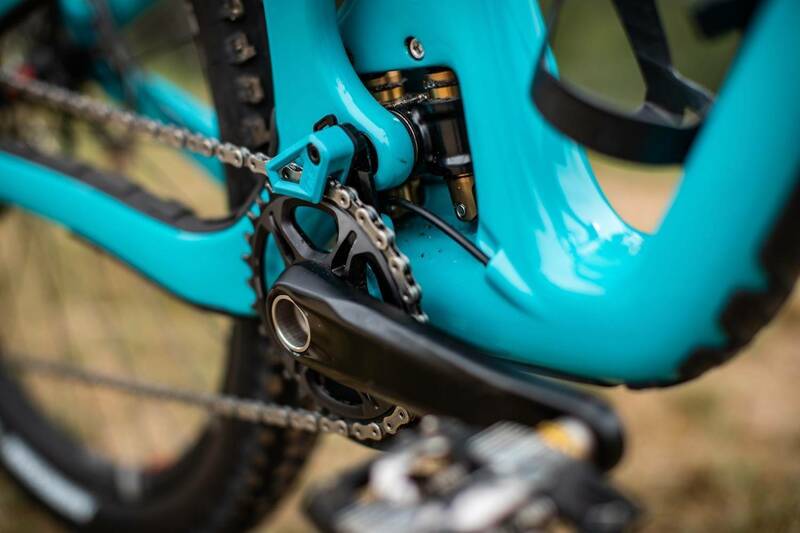 The chain guide is custom coloured. Of course. 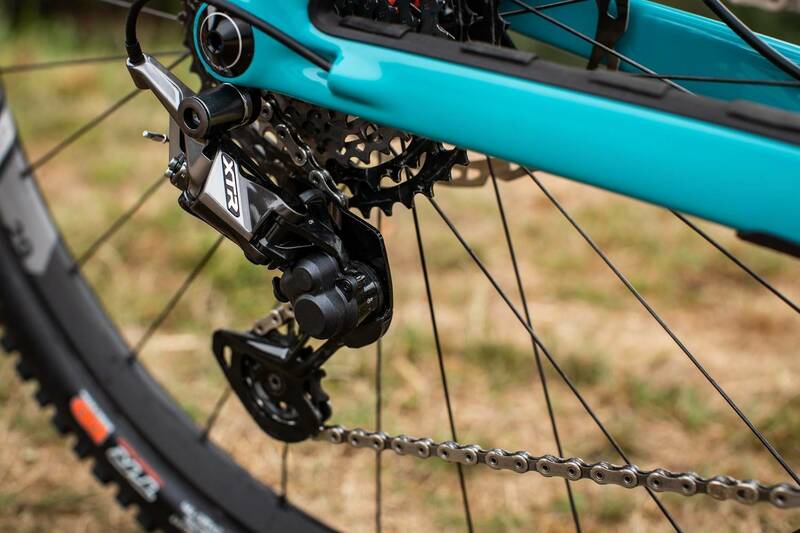 The XTR M9100 11-speed mech is also nice and short - excellent for ground clearance. 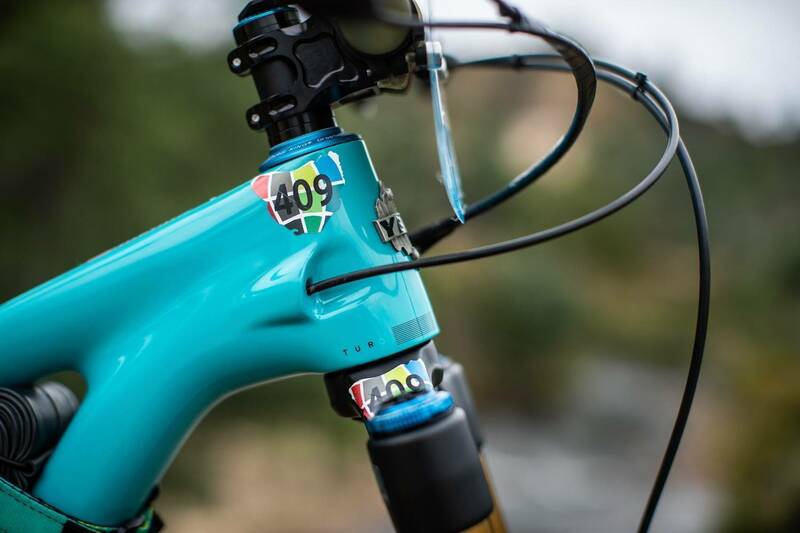 The spare tube is at the front of the frame, held on by a matchy-matchy Backcountry Research strap. 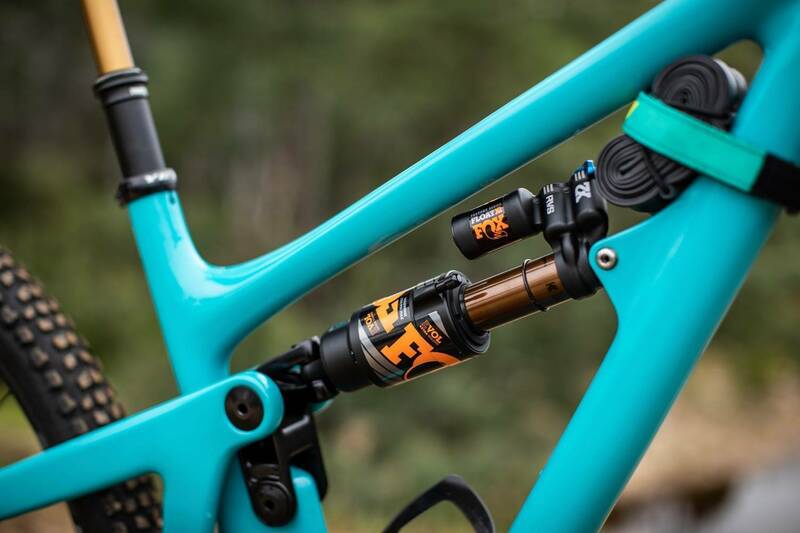 That's a 170mm Fox Transfer dropper post too. 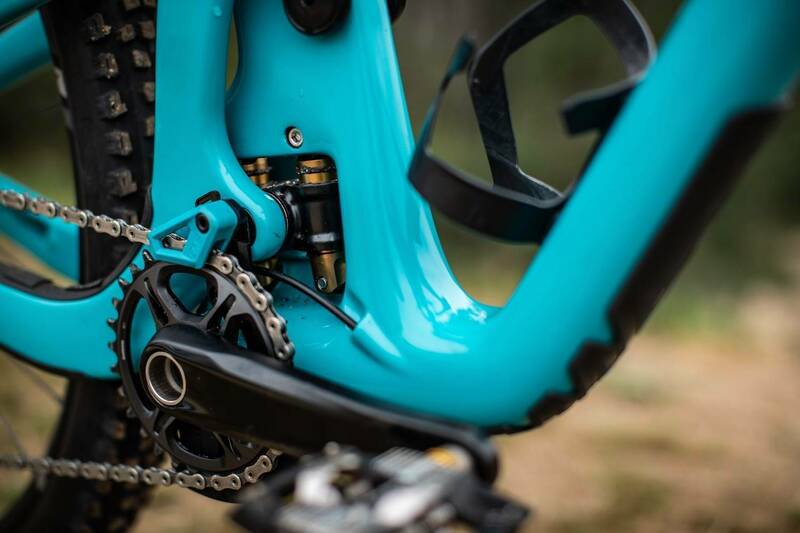 A Fox 36 Factory up front, with DT Swiss rims and hubs. 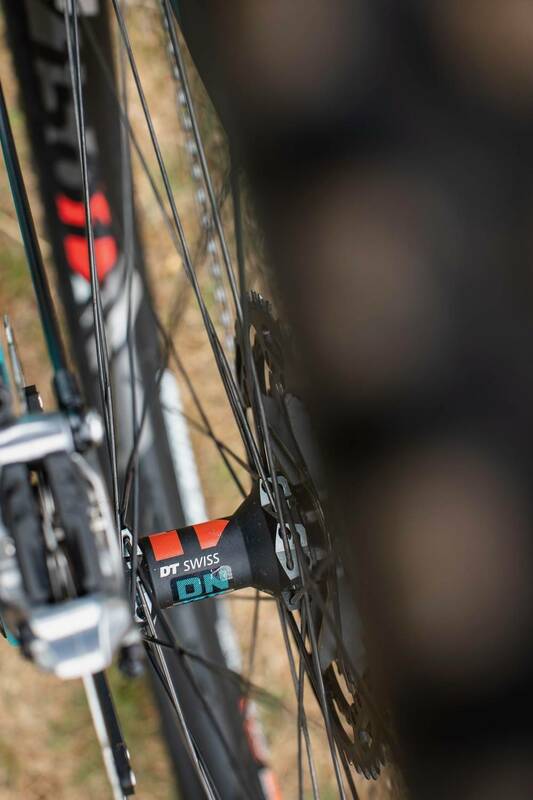 The DT-Swiss XM1501 wheels have a 30mm internal, 28 rims and 240 hubs. 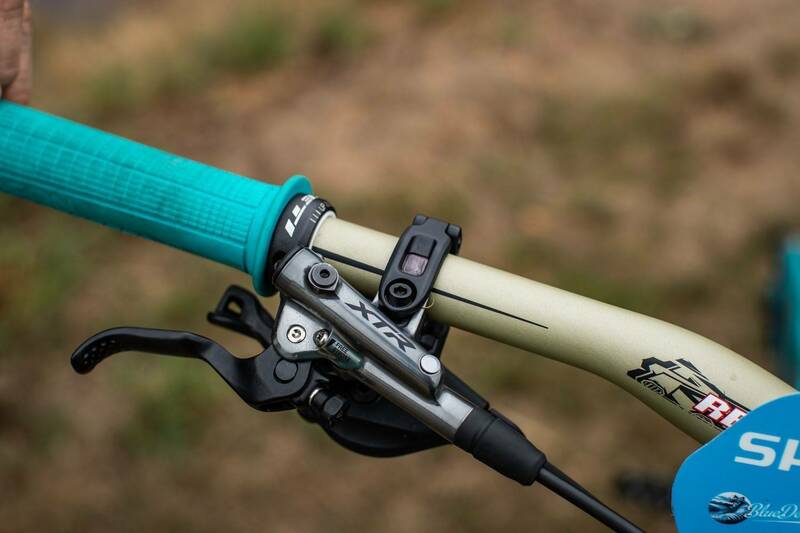 This shows how the XTR M9100 Trail brake levers don't just clamp the bar, but but against it for extra stiffness too. 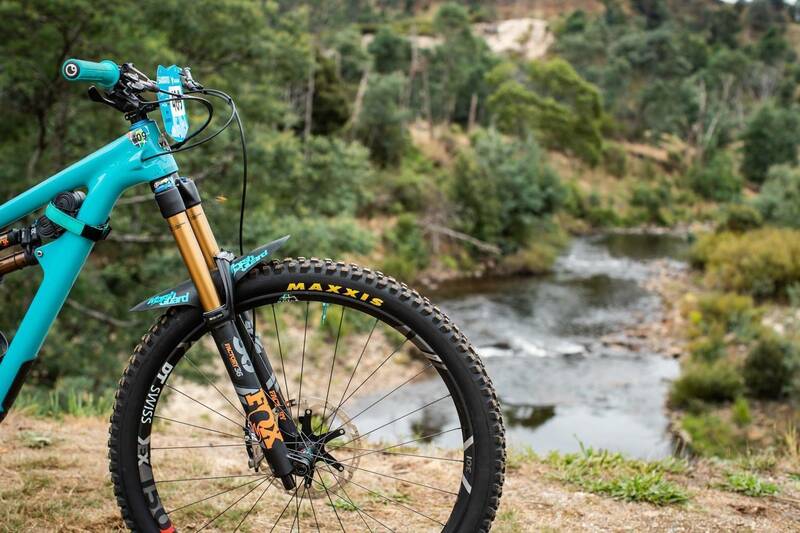 Duncan Nason is one of the young stars on the Yeti team - here's a look at his EWS weapon - a Yeti SB150. 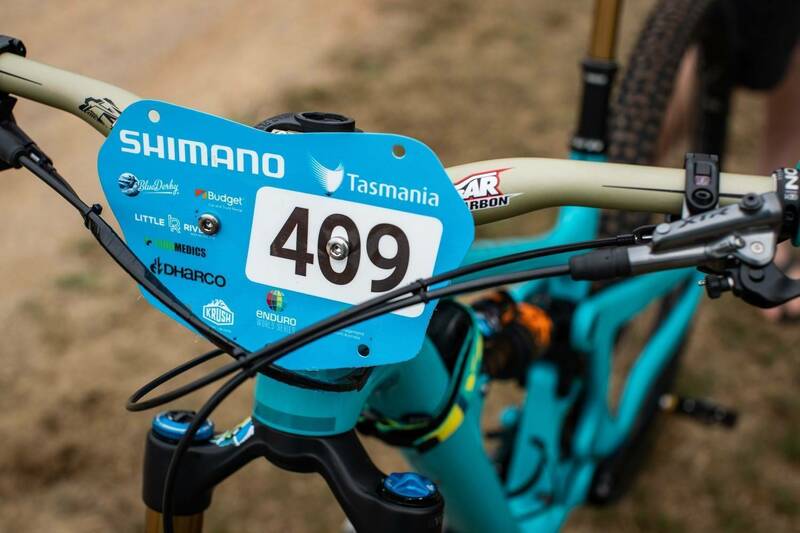 The who's who of World Enduro are in Derby - but sometimes it's more interesting to look at the bikes of younger riders who are out to make their mark. 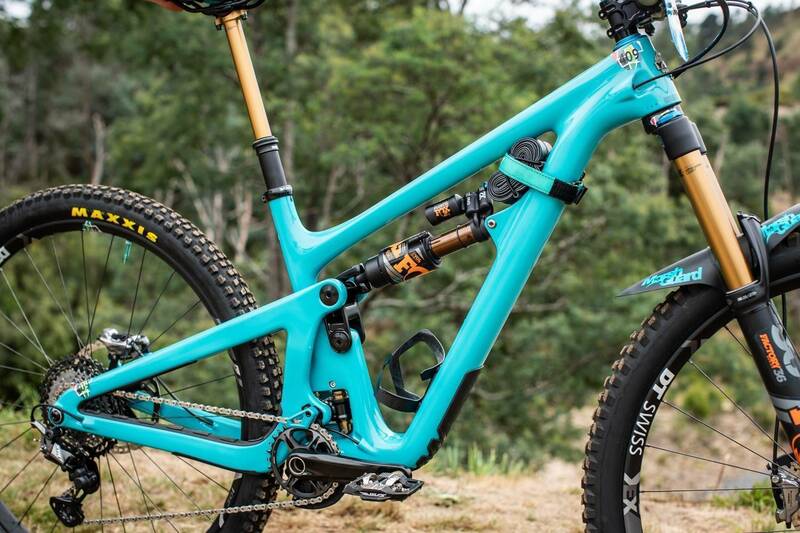 Duncan Nason (USA) is one such rider, so we took a look over his Yeti SB150.